We're mid-summer, or as others call it, "mid-hot-sweaty-sticky-South-Carolina-summer-sizzle," or maybe that is just us! Don't get us wrong, we LOVE the summer months! Between our Summer Nights Entertainment series, that universally accepted reason to eat ice cream every day because you need to "cool off" and spending the nights on The Avenue at Broadway, dancing and sipping on something cold, we love it all! However, when the temperatures rise to the 90s or above accompanied by higher humidity, there is one place to visit that will help keep you cool every day and night! We're talking about the new Cariloha store, now open at Broadway, the place for all your bamboo needs! Bamboo products will keep you dry, cool and odor free! Bamboo grows pesticide-free and even self regenerates when cut down. Cariloha is the world's only retail brand with stores that are completely merchandised with ultra-soft, comfortable clothing and bedding made of bamboo. With a selection of clothing styles, bed and bath sets, home decor, handbags, jewelry and more! 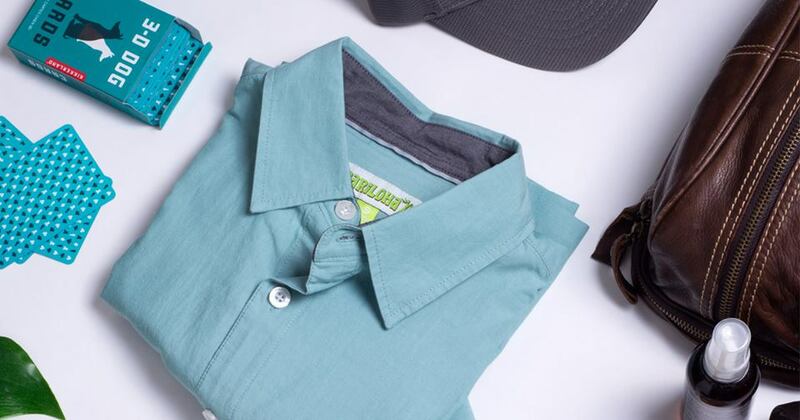 During the hotter months, try on one of their shirts and you'll instantly notice just how breathable and soft bamboo really is. But it's not just their clothing that will keep you cool. Their bedding and sheet sets will have your summer slumber cool, calm and collected! What's better than crawling into a nice cool bed after a long, hot day at work or a day on the beach? Not much! So when the summer heat has you hot and sweaty, be sure to stop into Cariloha at Broadway and check out how bamboo will make you cool, yet cozy! We are in the midst of our July days in Myrtle Beach, when the heat index and humidity are nearing the 100s, sand continues to fill our cars after days spent at the beach and ice cream seems to be the only treat that is able to cool us down. It's the summer sizzle and lackadaisical leisure of July that give us a tinge of tan, time spent with those we love and carefree nights around the BBQ. But soon, oh so very soon, we will be trading in those swimsuits for sweaters, those ice cream scoops for pumpkin and eggnog and free time in the sand for trips in the car or even plane rides to grandma's house! We're counting down the days until Christmas at Broadway at the Beach, but it's not just December 25th that we have circled on our calendar, but also Saturday, December 2nd for our third annual A Very Broadway Christmas; a full day beginning with a parade and continuing with live entertainment, kids activities, our 23rd annual tree lighting ceremony all capped off with a fireworks extravaganza! Plans are already in the works to welcome in the holiday season with fun for the whole family, so stay tuned! However, if you're anything like us, you need a dose of holiday cheer throughout the whole year. Lucky for us at Broadway at the Beach, we have Christmas at the Beach! 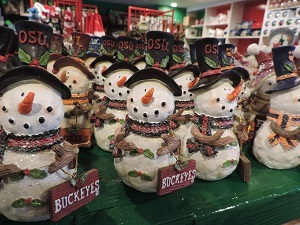 This Christmas shop has everything you need to get you in the holiday spirit, even in the heat of summer. 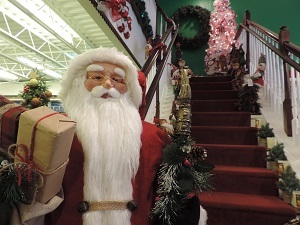 With not just one, but two floors to peruse through, one step into their doors and you'll be singing Christmas carols while selecting your newest ornament for this year's tree! 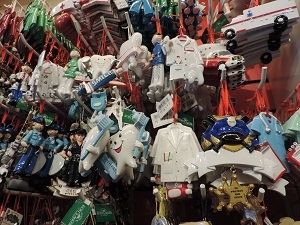 From tree toppers, stockings, ornaments, décor and more, you're sure to find your new holiday item to add to your collection. Of course, no decorating is complete without hanging your personalized Myrtle Beach ornament on the tree. Or, say "Thank You" with a personalized gift for that military service member, first responder, doctor or favorite teacher! Christmas at the Beach has plenty of profession themed ornaments to choose from to give that perfect gift to that special someone! So if you're in need of some holiday cheer and a break from the humid heat, be sure to stop in and celebrate Christmas in July (or every month) at Christmas at the Beach all while counting down the days to the third annual A Very Broadway Christmas! Okay, we're not there yet. Let's face it, there are certain days on the calendar we don't look forward to. For some of us, that dreaded day is Tax Day or your annual dentist (or insert other medical professionals here) appointment; for others, it may be when the in-laws make their arrival or for students, it could be the first day back in the classroom. But for all those sometimes negative but necessary occasions, there are also days we count down to, the Christmases, the first day of summer and anniversaries but for us at Broadway at the Beach, it's Sunday, July 16th, otherwise known as National Ice Cream Day! 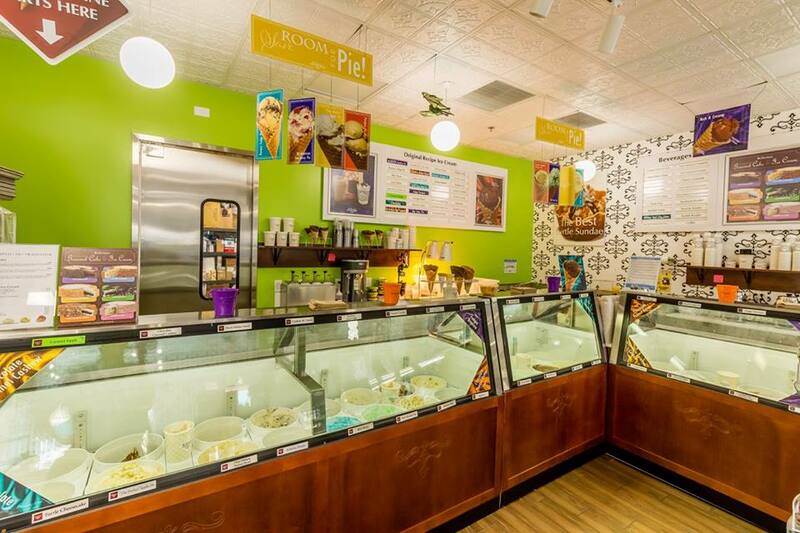 We have a plethora of ice cream pints and plenty of flavors to pick at our ice cream shops at Broadway! Our restaurants have plenty of cool delights too, but we're devoting this blog to the eateries that are devoted to the love of all things ice cream, Ben & Jerry's, Cold Stone Creamery and Kilwins! Delicious Duo, Ben & Jerrys! We have doubled the deliciousness of the world-famous brand with two locations at Broadway (Ben & Jerry's South, located in the New England Fishing Village near Starbucks and Ben & Jerry's North located in the Charleston Boardwalk near Paula Deen's Family Kitchen). Whether you're in the mood for some Cherry Garcia, orUrban Bourbon or need some Blondie Ambition, grab a cone and taste the euphoric concoctions made with wholesome, natural ingredients at Ben & Jerry's. 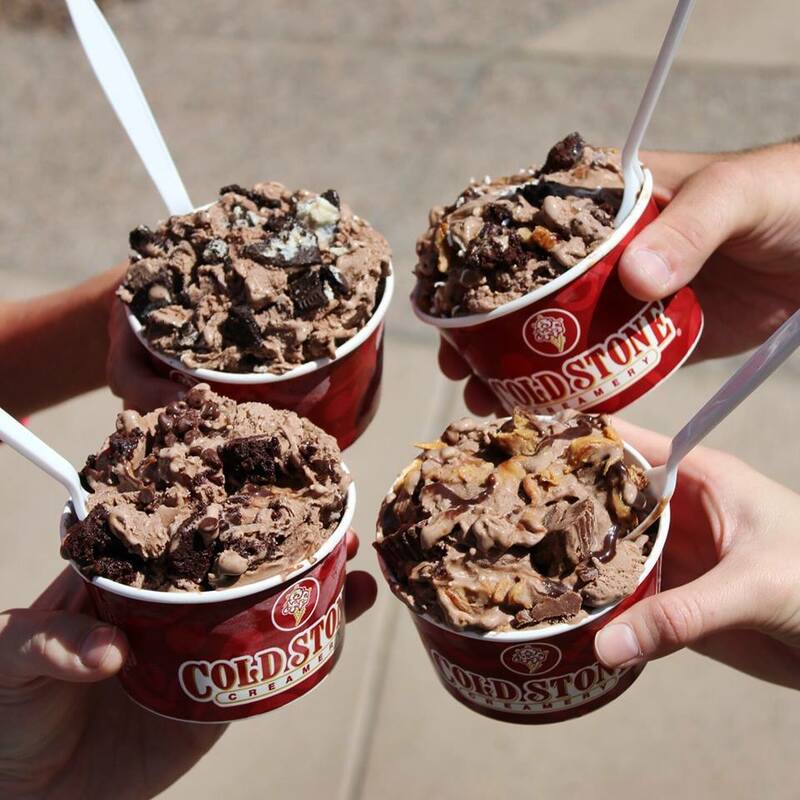 If it's one of their perfectly crafted creations you crave or to mix it up with your own mix-in must haves, ice cream connoisseurs can find something that is perfect for their palate at Cold Stone Creamery! Located in Heroes Harbor across from Jimmy Buffett's Margaritaville, this nationally recognized shop features super-premium ice cream made fresh in the store every day! The ice creams are perfectly divine all by themselves, but we prefer to add in some deliciousness with a variety of mix-ins and watch as they blend it all together on a frozen granite stone! Did we mention they have ice cream cakes? They do!To order one, click here! With their motto, "Sweet in every Sense since 1947", Kilwins has created decadent treats with the finest ingredients and exceptional confectionary service for 70 years with locations across the U.S. including right here at Broadway at the Beach in the Mediterranean Village! One taste of their rich, yet refreshing ice cream and you will be hooked! (P.S., get a sample of their Southern Praline Pecan. You can thank us later!) Whether you prefer your ice cream in a freshly made waffle cone or in a cup, you will always remember your first taste of Kilwins Ice Cream and you'll want to come back again and again! There are plenty of places to celebrate National Ice Cream Day at Broadway at the Beach! So when you're enjoying the hot summer day of Sunday, July 16th, be sure to cool down with your favorite ice cream with us! The southern summer sizzle is on, so here's our top five ways to cool down at Broadway at the Beach! Whether it's the depths of the deep blue sea or into the great unknown, you can escape the scorching temperatures with a trip to Ripley's Aquarium and WonderWorks. At Ripley's Aquarium, sharks, seahorses, stingrays, urchins and even mermaids will fascinate from the bottom of the ocean right in front of your eyes! At WonderWorks, you can stay in out of the heat and stand up against hurricane force winds, control a NASA spacecraft and even lay on a bed of 3,500 nails! The summer isn't always about the rising temperatures, but also about the afternoon downpours. What better way for you and your friends to escape Mother Nature's woes than at Backstage Escape Games! Looking for food, fun and a cool spot to hang without having to hurry through the heat while walking from place to place? Dave & Buster's offers all the food, fun and games all under one roof! From their tempting appetizers and ice cold drinks to a giant game of Pacman and Mario Cart, you and your whole crew can beat the heat while trying to beat each other in a new family, friendly atmosphere! When it comes to noshing during the summer months, Broadway at the Beach offers several options for not-so heavy meals that are perfect for fueling up as you're trying to cool down on a summer day or night! From salads at Hard Rock Café, to subs at Extreme Pizza, to classic burgers at Johnny Rockets and fresh seafood from Landry's or Joe's Crab Shack, you're sure to find dishes to delight your whole crowd without piling on the extra pounds. It's safe to say we all know that staying hydrated is the best way to keep from melting during the summer months, and when it comes to sipping on something sweet, Broadway is the place you can't beat! Whether you're in the mood for craft brews from Liberty Brewery & Grill or American Tap House or something carefully crafted from the top shelf at Good Time Charley's, Senor Frogs or Wet Willie's, you can stay hydrated all summer (and all year) long while enjoying the cool company of your best friends and family! We may be biased, but when it comes to our favorite way to cool down during the summer nights, ice cream is our favorite go-to! Luckily at Broadway, we have ice cream shops at every corner! Whether it's the popular scoops of Ben & Jerry's, the cold creations of Cold Stone Creamery or Kilwins or even the handcrafted shakes of Johnny Rockets, there is no tastier way to cool down than with a big scoop of delicious and portable dessert! So, whether you're looking to escape the sun's rays, cool down with a culinary concoction or sip on some sweetness while beating the heat, you have plenty of summer sizzle selections to choose from at Broadway at the Beach!